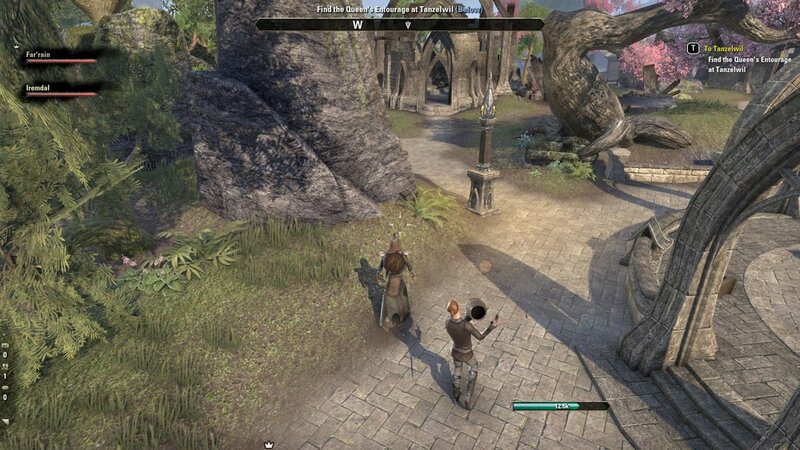 TESO:TU is a poor MMORPG experience, while it could've worked as a single-player Elder Scrolls product, the attempt to make it catch on the MMO craze brought a bag of problems with it and its also the reason why I've played it for the strict minimum I could and probably won't play it ever again. Its core systems are confusing and poorly implemented, the game's balance is terrible and there is tedium every step of the way, while interesting stories are told in what seems like an afterthought, especially for a product in the specific genre of grinding, looting monsters and participating in multiplayer adventures. Character creation was quite simple, with a race and a class to choose. Each race and class gives you access to specific skill trees, but all characters share a bunch of other skill trees as well. 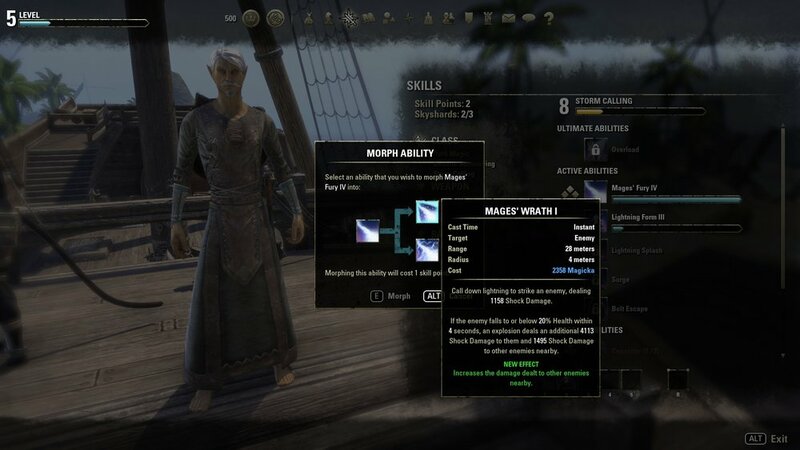 You are 'supposed' to build your character with skills from multiple branches, but you have only five active skill slots, plus one ultimate, and many passive skills compound on you having skills from one specific branch slotted, or to use one type of weapon or armor. By default, the game is in first person, but I quickly changed to third. Even then, the battle system is a mess. Attacking is akin to blindly swinging your melee weapon by just clicking nonstop on things and hope that you're hitting them. Left click is a faster attack that you can charge up and right click allows you to block, which then allows you to technically stun/interrupt/disorient enemies by hitting them. But even that core idea doesn't always works, sometimes enemies are immune to these effects, sometimes they are not. I know this is not World of Warcraft, but having more info about enemies - if they're immune to stuns, or something - would've helped. Auto-attacks, also. 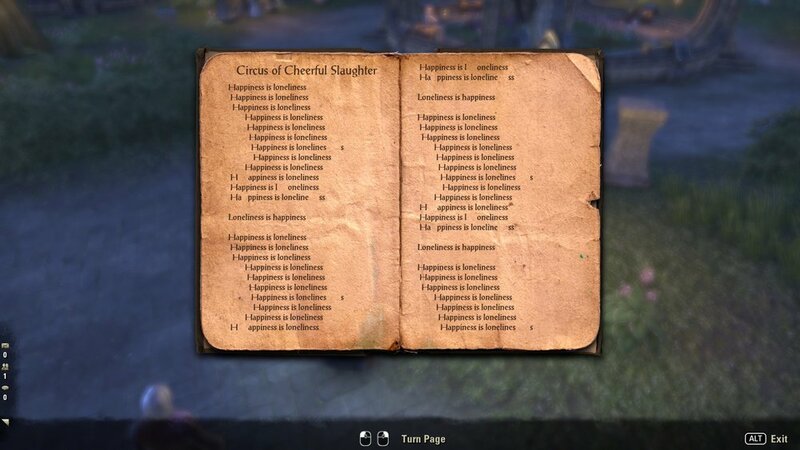 This game has plenty of Elder Scrolls-y things. 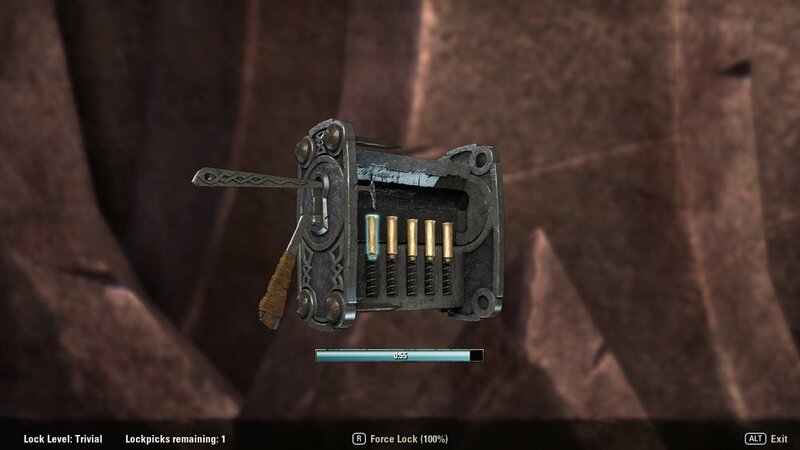 You can lockpick certain chests and doors, which is an okay-ish minigame. 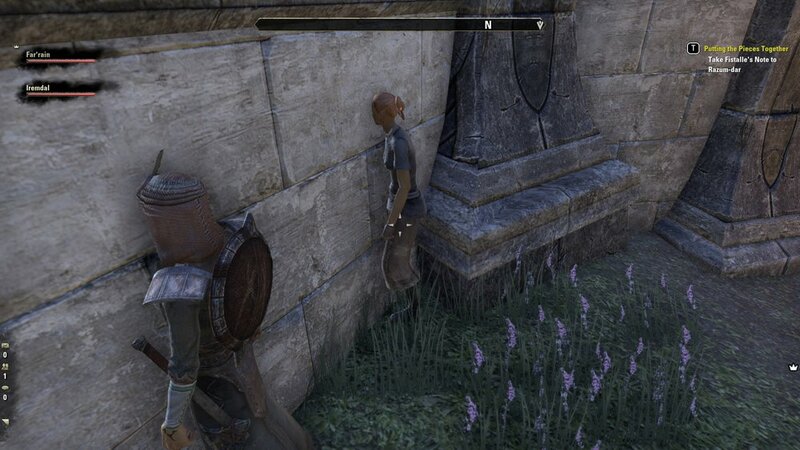 You can steal from NPCs and homes, but that gives you a ticking down bounty which can aggro guards on you really quickly. But mostly, there are stories and places with characters telling you things. 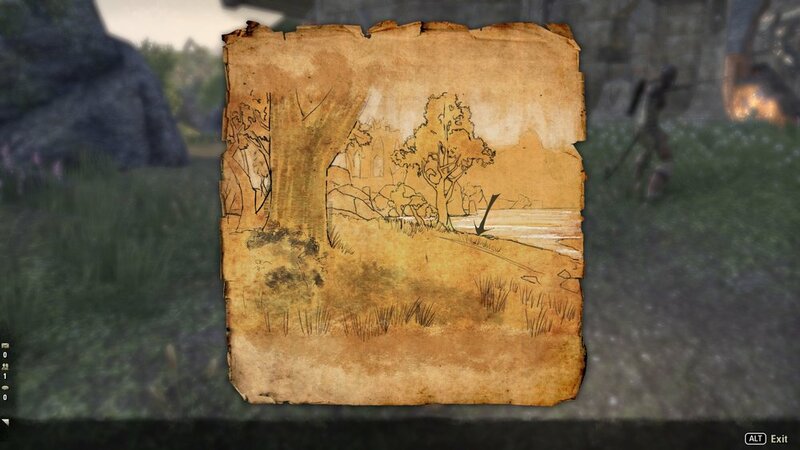 There's a huge map with icons that get revealed as you discover them, with miniature dungeons and small areas where there are semi-unique - but not super original - problems that you must solve there. This would be great for a single player game, but it's terrible in a MMO that you can play with friends. Nothing works less than exploration, reading story and making (meaningless) choices when not everyone wants to do the same thing. 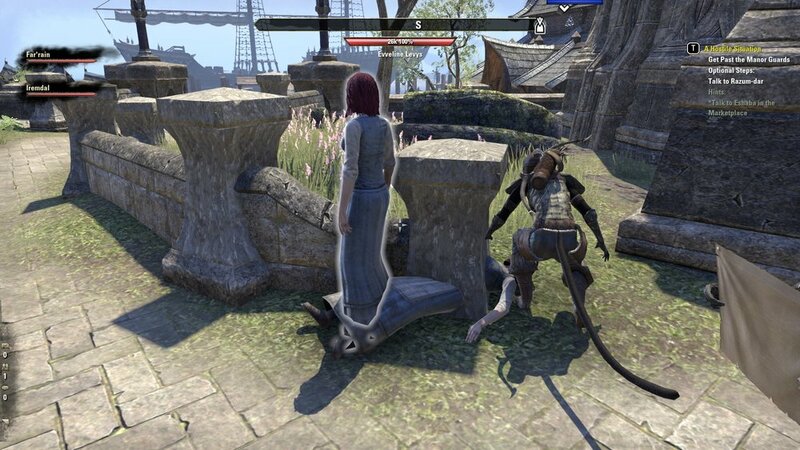 I play MMOs for the grind and the leveling of characters, not for the stories and the world building, and TESO:TU puts too much effort that way. Also, since this is a MMO, everything is meaningless, your choices almost never matter and the world barely changes from your actions. The crafting systems are slow and take forever to progress. I've tried cooking and enchanting and they both have their weaknesses. 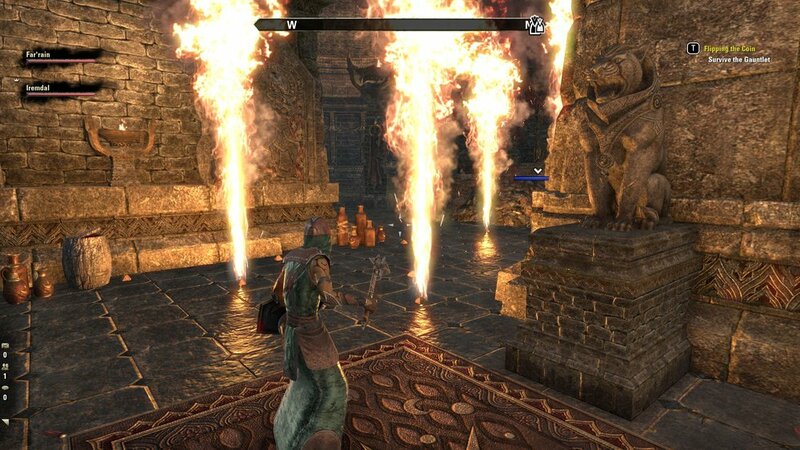 Cooking creates items with one of six effects and enchanting requires runes that are found in the wild - here I'm taking a second to complain that the skill to 'see' runes in the environment is useless and should've shown them on your map/minimap at the very least - to craft things that scale to the level of the gear you use them to. Food also scales to a certain point. That's another big problem I have with this game, everything scales. 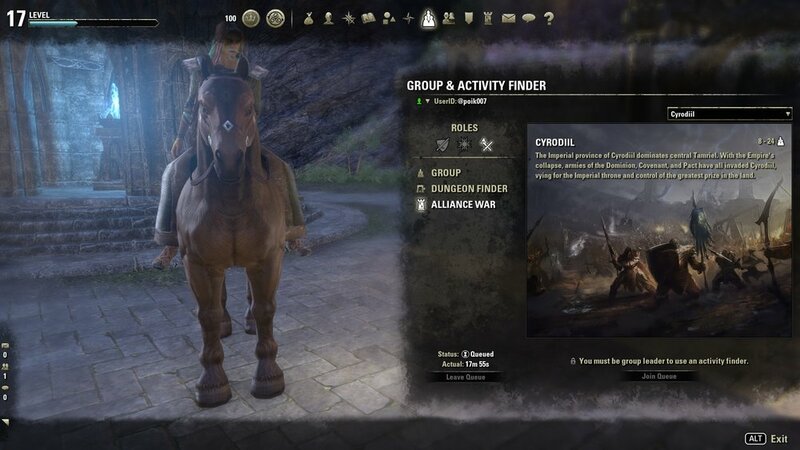 It's a selling point that you can take your level 500 character and go to the first zones and do quests and find gear your level and gain appropriate experience, but it means that level and stats and gears and skills almost never matter. From the beginning of the game to where I stopped - around level 30 - encounters would play almost the same, enemies would have around the same health and all the gear I would find would be scaled to my level. Gear can have multiple rarities and enchantments, and there are plenty of set items, but besides that, having one piece of gear over another didn't seem to change anything, nor did buffs or food effects. 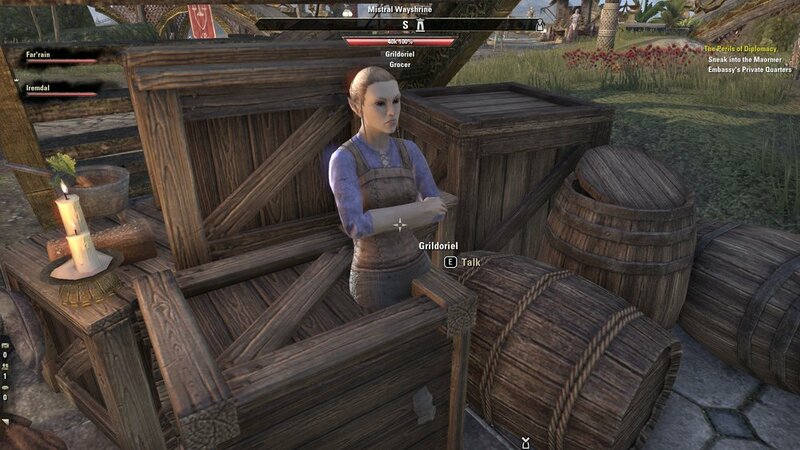 What I like in MMOs is to customize my character - and try new ones if I want to see other playstyles - but TESO:TU is bad to do that. You have to pay to re-spec your character and it can only be done in the confides of your race/class. You have a ton of story to slug through to do quests and it would get boring immediately for me to try a second character. You only have five skill slots and some of them are timed buffs that you have to recast all the time and there are way too much skill trees for you to try them all on one character. I like that you can customize your skills when they level enough, but that's too little. There's too little challenge, too much story for a multiplayer focused game, too much tedium in finding materials and crafting and too much bookshelves to go through in order to find some more skill points. 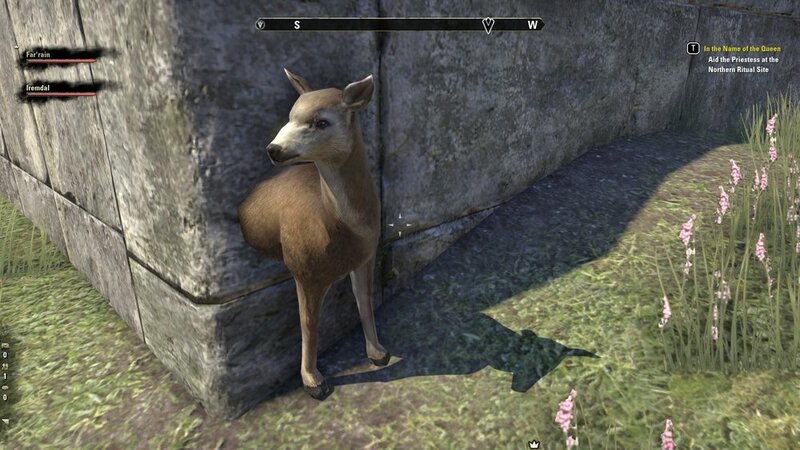 I like the exploration, but it would only work once, and even then you risk finding objects and zones that can only be interacted with if you pay some more to buy the DLC. 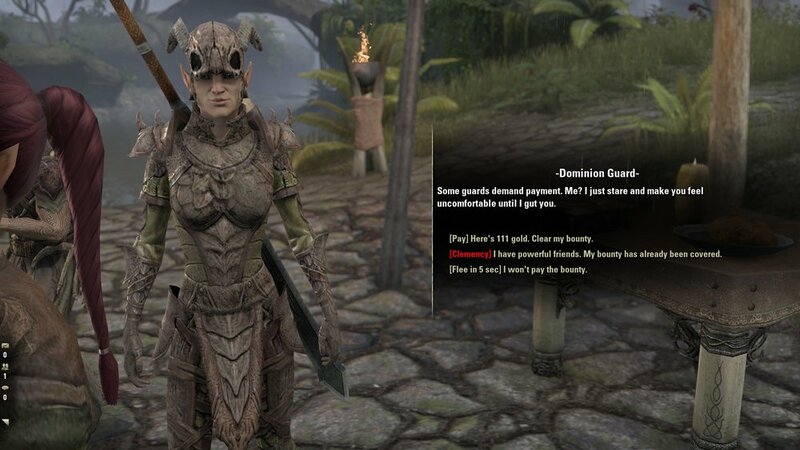 TESO:TU isn't the MMO for me.